Miami Beach is helping sun seekers find their seasonal beach escape with exclusive travel deals and offers this fall and winter. Discounts of up to 25 percent off are being offered at several area hotels including Dream South Beach, Loews Miami Beach, Mondrian South Beach, Gale South Beach and W South Beach. Dream South Beach:Travelers can book the Beach Lovers promotion and receive a 25 percent discount on room rates with a complimentary resort fee that includes luxury lounge chairs, beach towels and in-room Wi-Fi. Loews Miami Beach: Experience an enhanced oceanfront escape and book three nights to receive a $75 resort credit per stay and daily buffet breakfast for two. AC Hotel Miami Beach: Get away to warm weather and enjoy up to 20 percent off on advance bookings for stays now through December 22. Courtyard Miami Beach/South Beach:Go art deco this winter season at a historical landmark, just minutes from the beautiful beaches and premier shopping on South Beach, with up to 20 percent off advance bookings for stays now through December 22. Mondrian South Beach: Soak up the sun in the heart of Miami Beach and experience the iconic Ocean Drive, Espanola Way and Lincoln Road with up to 15% off the best available rate. Gale South Beach: Luxury service, hospitality perks and complimentary food and beverage offerings await travelers with up to 15 percent off the best available rate. Renowned for its culinary offerings, extravagant nightlife, rich culture, luxe shopping and plush hotels, Miami Beach is home to world-class museums, the New World Symphony, Miami City Ballet, Miami Beach Convention Center, international festivals and art exhibitions, boat and auto shows, over 187 boutique and resort hotels and 12 public parks. Boasting seven miles of white sand beaches, Miami Beach is easily accessible from the Port of Miami and Miami International Airport. The City of Miami Beach has been named one of the top cities worldwide for ‘walkability’ and is equally easy to navigate by bike or boat. Known for its year-round sunny skies, the vibrant destination has been ranked by TripAdvisor as a Top Winter Sun Vacation Rental Getaway Destinations, Top Romantic Destinations, Top 25 Beaches in the World and Top 25 Destinations in the U.S.
For more information and updates on additional Miami Beach hotel offers and discounts this winter season, download the Miami Beach Information App at www.miamibeachapi.com/app/. Basseterre, St. Kitts (September 15, 2017) – St. Kitts’ tourism authority reports that the island’s airport, cruise port and all tourism providers are open and resuming normal operations, as it was fortunate to be virtually unscathed by Hurricane Irma. American Airlines’ daily non-stop flights to St. Kitts’ Robert L, Bradshaw International Airport from Miami have resumed today with the Saturday JFK non-stop scheduled to resume on tomorrow. Seaborne Airlines’ daily non-stop flights to St. Kitts from San Juan have also resumed tomorrow. All hotels and resorts are fully operational and the Park Hyatt St. Kitts remains on schedule to debut November 1. Cruise lines have resumed scheduled port calls to St. Kitts, with passengers from The Carnival Fascination enjoying the island’s various attractions and activities last Friday. Over the course of the next week, a total of four vessels are scheduled to dock at Port Zante, including Royal Caribbean’s Allure of the Seas on September 21. With the arrival of the Carnival Magic on September 20, St. Kitts expects to welcome its one millionth passenger this year. A historic first for the island, the occasion also raises St. Kitts to marquee port status. The 76-room all-inclusive Mango Bay Hotel in Barbados is inviting visitors to take advantage of off-season rates during the tradition of the Barbados Crop Over Festival, taking place June 4 – Aug 1, 2016. HOLETOWN, Barbados – The 76-room all-inclusive Mango Bay Hotel (www.MangoBayBarbados.com) in Barbados is inviting visitors to take advantage of off-season rates during the tradition of the Barbados Crop Over Festival, taking place June 4 – Aug 1, 2016. Mango Bay Barbados all-inclusive rates start at $535 per room, per night, based on double occupancy for travel May 1 – Dec. 14, 2016 – a savings of 20% off high-season rates. Marking the culmination of the island’s sugarcane season, Crop Over is a Barbadian tradition dating back to the 1780s when the island was the world’s largest producer of sugar. The festival was originally created to celebrate the success of the sugarcane season and has since been revived with additional elements, including highlights of the island’s culture and attracting A-list celebrities such as Rihanna, along with travelers and locals. Situated on the vibrant west coast, Mango Bay Hotel provides the perfect location for travelers seeking to combine relaxing tropical indulgence with the excitement of local culture. Crop Over activities traditionally include music and masquerades, calypso tents, ceremonial delivery of the last canes, kiddies kadooment, folk concerts, art and photogenic exhibitions, party monarchs and much more. The festival concludes with the Grand Kadooment where a carnival and parade fill the streets with color and the sounds of calypso musicians. For more information on the 2016 Barbados Crop Over Festival visit www.carnifest.com/events/barbados/bridgetown/18/barbados-crop-over-festival-2016.aspx. An all-inclusive Mango Bay vacation features: all meals, afternoon tea, local and brand name drinks including wine with dinner; various watersports including water-skiing, kayaking, hobiecat sailing, pedal boating and snorkeling; complimentary offering of scuba diving lessons (on-property); off-property sightseeing excursions such as a glass-bottom boat trip and a catamaran sail, as well as nightly entertainment. Dining at the hotel provides savory fusion of Caribbean and international cuisine, with buffet-style meals and table service options. Live music is offered nightly from 9-11p.m. Accommodations at the resort include the following categories: Standard Rooms, Standard One-Bedrooms, Superior Rooms, Deluxe Rooms, Oceanfront Rooms and Penthouse Suites. Decorated in warm Caribbean colors, the contemporarily-styled rooms and suites at Mango Bay feature king-size beds, air conditioning, bathrobes, beach towels, iPod docking stations, cable television, direct-dial telephone, hairdryer, an electronic safe, iron with ironing board and coffee/tea-making facilities. Computer wireless internet access is available in public areas, including the reception, guest lounge, around the pool and bar and restaurant. Children three years of age and under sharing with two adults stay free-of-charge and children 4 to 18 years old are offered a reduced rate. For added convenience, cribs, extra beds and high chairs are available at no additional cost. Located in the historic Holetown area on the famed Gold Coast of Barbados, the 76-room Mango Bay is known for its casual sophistication and all-inclusive value. Having been honored with TripAdvisor’s 2015 Certificate of Excellence Hall of Fame, Mango Bay has proven to cater to the needs of its guests. This unique accolade honors hospitality excellence and is only given to establishments that have won TripAdvisor’s Certificate of Excellence for five consecutive years. This beachfront, boutique-style property is an ideal tropical retreat for travelers seeking an escape from the everyday hustle and bustle – an oasis where warm breezes, delightful Caribbean sunshine, and picturesque beaches are refreshing and revitalizing. Spacious accommodations, a centrally-located swimming pool, delicious dining and tremendous all-inclusive value make Mango Bay an “Uncomplicated, Unencumbered, Unforgettable” vacation paradise. Spice Island Beach Resort in Grenada has received the ultimate distinction for hotels – the coveted AAA Five Diamond Award, only granted to six other resorts in the Caribbean. GRAND ANSE BEACH, Grenada — Spice Island Beach Resort in Grenada has just received the ultimate distinction for hotels — the coveted AAA Five Diamond Award, which has been granted to only six other resorts in the Caribbean and 118 hotels worldwide. According to AAA, nearly 28,000 hotels are reviewed by AAA inspectors who use published guidelines to evaluate and rate properties for the AAA Five Diamond Award and only 0.4 percent make the AAA Five Diamond List. This achievement elevates the Spice Island Beach Resort from a Four Diamond status which it maintained for over 15 years and ranks the resort as a premier establishment esteemed by AAA professional inspectors, the hospitality industry and over 56 million AAA/CAA members. This award comes on the heels of Sir Royston being honored last month by the American Academy of Hospitality Sciences with a Six Star Diamond Lifetime Achievement award, recognizing his untiring service of over 51 years to Grenada and the Caribbean region as well as the resort’s third consecutive year of achieving Six-Star-Diamond status. Tucked away on spectacular Grand Anse Beach (frequently named one of the top 10 beaches in the Caribbean) and just 10 minutes from the airport, Spice Island Beach Resort is surrounded by pristine tropical gardens and offers a world-class spa, culinary program, and a wide choice of super-elegant accommodation including beachfront suites, situated at the edge of the Caribbean Sea, providing a new spin on beachfront elegance in its Sea Grape Suites equipped with a luxurious large bathtub with views of the ocean. A 225 sq ft. patio with private garden, chaise lounges and double hammock provide the perfect romantic setting to absorb the Caribbean sunset. The 1,200 sq. ft. Anthurium Pool Suites have 12′ x 16′ plunge pools, private terrace with a double daybed for relaxing. The resort’s 1,500 sq. ft. Luxury Almond Pool Suites offer private luxury with a 16′ x 20′ residential-size swimming pool as well as guests’ own private entrance, tropical garden and outdoor dining terrace. The Royal Collection Pool Suites are the quintessential honeymooner’s dream featuring a 16′ x 20′ pool and every amenity in the Luxury Almond Pool Suites, plus a full-scale living room, enchanting marble bathroom and private Cedar Sauna on the patio. The palatial Cinnamon and Saffron Suites measure 1,440 sq. feet each and feature a romantic ambiance with a floating canopy bed, an elaborate marble bathroom, spacious living room with 47″ LCD television and Bose Lifestyle Entertainment System, wet-bar and dining area set for six and private patios with a double hammock. All suites are air conditioned and outfitted with spectacular five-star amenities including flat panel televisions, iPod docking stations, Italian Frette bathrobes and linens, Molton Brown bath and body amenities, mini-bar, Internet access, safe, coffee/tea facility, toaster, chaise lounges and patio or balcony. The award-winning Spice Island Beach Resort features 64 elegantly-appointed suites, a full-service Janissa’s Spa, a fitness center and Omnicourt® tennis court, Oliver’s beachside gourmet restaurant, the Sea & Surf Terrace for light lunches, the Sea & Surf Bar for refreshing cocktails throughout the day, a central swimming pool with swim-up whirlpool, the Nutmeg Pod children’s activity center, the Gatsby Boutique and more. Spice Island Beach Resort is a proud recipient of the 2014, 2015 and 2016 Six Star Diamond Award from the American Academy of Hospitality Sciences and was ranked the #1 property in the Caribbean by TripAdvisor according to traveler reviews in 2013. The resort has also received Virgin Holidays’ Gold Award as the #1 property in its exclusive worldwide Platinum Collection for 10 consecutive years from 2006-2015. Spice Island Beach Resort is a proud member of the esteemed Small Luxury Hotels of the World (SLH) collection and the first and only resort in Grenada to be featured in the exclusive Virtuoso network’s Hotels & Resorts Program. For more information, contact Spice Island Beach Resort toll-free at 1-800-501-8603, tel: 473-444-4258, fax: 473-444-4807, e-mail: reservations@spicebeachresort.com, or visit www.SpiceIslandBeachResort.com. Connect with Spice Island Beach Resort on Facebook, Instagram and Twitter. 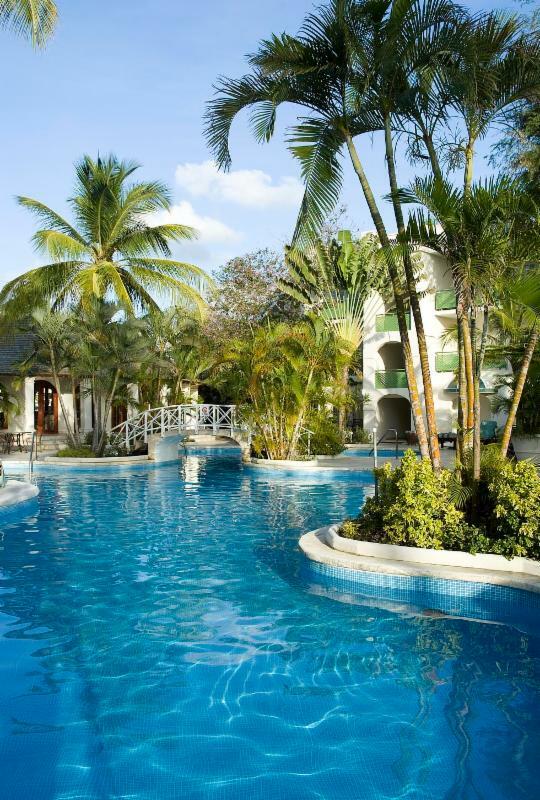 HOLETOWN, Barbados – Located on the famed Gold Coast of Barbados, the 76-room Mango Bay Hotel provides fun in the sun vacations for families of all sizes. Mango Bay’s all-inclusive value allows vacationers to be entertained from sunrise to sunset – and every second in-between, regardless of age. An all-inclusive vacation at Mangao Bay features hotel accommodations; all meals, afternoon tea, all local and brand name drinks including wine with dinner; various watersports including water-skiing, kayaking, hobiecat sailing, pedal boating and snorkeling; an on-property complimentary offering of scuba diving lessons; nightly entertainment; and off-property sightseeing excursions such as a glass-bottom boat trip and a catamaran sail. Children three years of age and under sharing with two adults stay free-of-charge and children 4 to 18 years old are offered a reduced rate. For added convenience, cribs, extra beds and high chairs are available at no extra cost. The Mango Bay restaurant provides children’s menus and earlier meal times can be set upon request. Organized games and activities such as movie nights, sand castle building and scavenger hunts can be arranged depending on the number of children staying at the resort. For an additional fee, babysitting services can be arranged so parents can steal some alone time. Offering family-friendly vacation value, children four and up may participate in all watersport activities and children five and up have the option of attending the catamaran and glass bottom boat trips. Scuba diving lessons are given on select days in the pool from 10:30 – 11:30 a.m. Kids eight years of age and older may participate. Mango Bay has proven to be a great getaway for the whole family having been named a 2014 Family Vacation Critic Favorite in the first annual hotel awards on www.FamilyVacationCritic.com. Receiving this award means that Mango Bay has at least four stars or higher from the website’s editorial staff and have had at least 75% of families recommend the property with four stars or higher. The resort also received TripAdvisor’s 2015 Certificate of Excellence Hall of Fame. Rates start at $660 per room, per night, based on double occupancy for travel Jan. 6 – April 30, 2016. 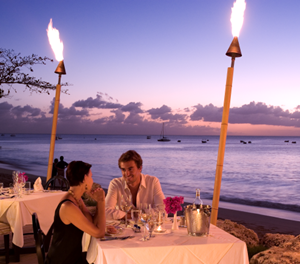 Contact Mango Bay at 246-626-1384, email reservations@mangobaybarbados.com or visit www.MangoBayBarbados.com. Barbados’ Mango Bay Hotel was voted Barbados’ Leading Boutique Resort at the World Travel Awards. Barbados’ Mango Bay Hotel (www.MangoBayBarbados.com) has been voted Barbados’ Leading Boutique Resort at the World Travel Awards™, recognizing the property’s commitment to excellence over the last 12 months. “I speak for the entire Mango Bay team in saying that we are truly honored to be voted as Barbados’ Leading Boutique Resort,” said Peter Odle, chairman of the Mango Bay Hotel Group. “Our team members strive for outstanding service and are eager to meet guests’ needs, something which we feel is imperative in reaching this caliber of excellence,” he continued. The World Travel Awards™ was established in 1993 to acknowledge, reward and celebrate excellence across all sectors of the travel and tourism industry. The annual program is renowned as the most prestigious and comprehensive in the field. Nominations for World Travel Awards™ are based on past years’ winners, approved self-nominations and approved World Travel Awards™ commendations. Once nominated, votes come from qualified executives working within travel and tourism and consumer travel buyers. Votes are internally audited to ensure the validity of each individual vote. Located in the historic Holetown area on the famed Gold Coast of Barbados, the 76-room Mango Bay Hotel is known for its sophistication and all-inclusive value. This beachfront, boutique-style property is the ideal tropical retreat for travelers seeking an escape from the everyday hustle and bustle, offering spacious accommodations, a picturesque beach, a centrally-located swimming pool and superb dining. The property is just a short walk from the posh Limegrove Lifestyle Centre, where guests can shop at global luxury retailers including Louis Vuitton, Burberry, Cartier, Michael Kors and more. Mango Bay is celebrating its 20th anniversary in 2014 with discounted rates starting at US$384 per room, per night, based on double occupancy, on an all-inclusive basis when booked directly. A Mango Bay all-inclusive vacation includes hotel accommodations, all meals, afternoon tea, all local and brand name drinks including glasses of wine, use of the on-site gym and nightly entertainment. The property is also now offering room service as well as drink and food service at the pool and the beach. Water skiing, kayaking, snorkeling, wakeboarding, pedal boats, a glass bottom boat ride and a catamaran trip to snorkel with the turtles are also included. For more information on Mango Bay, call 246-432-1384, email reservations@mangobaybarbados.comor, or visit www.MangoBayBarbados.com.